Looking to have some fun this summer? Take a class or camp through West Linn Parks and Rec. West Linn Parks and Recreation is pleased to offer dance camps with Van De Veere Productions. 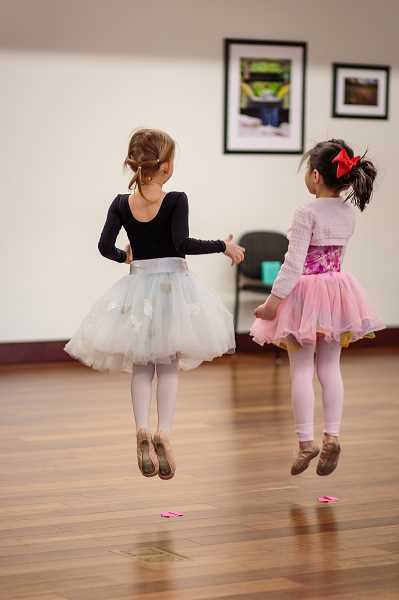 Signup now for Tiny Tutus ballet, beginning jazz, beginning and intermediate hip hop and intermediate advanced contemporary and Improv camps, which all start June 25. A second session begins July 5. Fees for these multiple day camps vary from $25 to $40. Visit westlinnoregon.gov/parksrec for details. The beginning class is actually a two-hour introduction to the advanced photography class. It is an overview of how modern digital and film cameras function to create art. The beginning class is a great place to begin. Photographer Dwon Guvenir will teach you the skills necessary to be in complete control of your photography. Students of all levels can sign up for the advance level class. Bring your camera and the manual. Both the beginning and the advanced classes start from 7 to 9 p.m. July 9. The beginning class fee is $50, the advance class is three sessions in length and costs $115. Students will create their own personal and eye-catching sign with their family initial and last name in this class taking place from 9 a.m. to noon on July 14. Made from a wine barrel ring and wood, each sign will have a rustic feel and be a great addition to a porch, dining room or any place you may gather. All supplies are included; class fee is $75. Beginners or seasoned player, you are invited to join Coach Corbin for a fun-filled and stimulating week of chess. Corbin Yu earned the National Master title at the 2013 World Open and is a three-time Oregon High School State Chess Champion. During the week, he will introduce and guide students through key chess concepts. There are two sessions of camp this summer for 7-12 year olds. Sessions begin July 16 and Aug. 6, running Monday through Friday, 9 a.m. to noon. Fee is $195. Students age 7-12 have the opportunity to participate in one of two YMCA camps this week, DIY Craft Camp and Star Wars. In the DIY Camp students will create hands on projects that they can take home or give to a loved one. In Star Wars camp they can travel to a galaxy far, far away. They begin camp as padawans, and begin their Jedi training. The padawans are challenged through daily Star Wars themed crafts, games, and other activities. Both camps run Monday through Friday, 9 a.m. to 3 p.m. for a fee of $206. Great movies being shown this summer! The lineup includes July 6 "Moana" at Robinwood Park; July 13 "Coco" at Hammerle Park; July 27 "Beauty and the Beast" (2017) at Tanner Creek Park; Aug. 3 "The Little Mermaid" at Willamette Park; Aug. 10 "Iron Man" at Marylhurst Heights Park; Aug. 17 "Pirates of the Caribbean: Dead Man's Chest"at Midhill Park. Details of the program offered by West Linn Parks & Recreation can be found at www.westlinoregon.gov/parksrec or in Activities Guides. You may register by internet, mail, or drop-off at City Hall, 22500 Salamo Road. Call 503-557-4700 for more information. Ken Warner is the assistant director for West Linn Parks and Recreation.